I love clean and fresh-smelling scents in my home. I've always had fragrant candles, soaps, and air fresheners. I love experiencing the fragrance as I enter my house or walk into my bedroom. Some scents I get "nose-blind to" and some smell to strong and would tickle my throat in a very annoying way. So when my Auntie B. from the bayou state introduced me to the world of essential oils, I wanted to try some right away. Several members of my family suffer from neck and head tension. On occasion, my significant other has hip joint stiffness. He says his right hip feels like "it's locked" at times. My shoulder blades can be quite bothersome after a long car ride or hours on the computer. Aunt B. uses a blend of essential oils for muscle fatigue and joint ache after a grueling tennis match. She was happy to introduce me to her "essential oils guru." Together, they shared a special blend of essential oils with me. Using Skype, we went over how essential oils can support my family's quest for a healthier lifestyle. Therapeutic grade essential oils that are applied topically or consumed aromatically or internally can support a variety of your family's health needs. With the "essential oils guru's guidance, and my Auntie B. 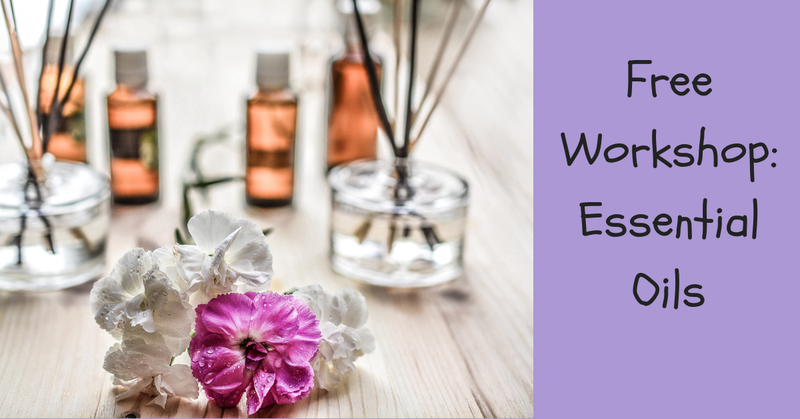 's enthusiasm, I made a plan to purchase the following essential oils: wintergreen, eucalyptus, black pepper, marjoram, and lavender. I was also introduced to the concept of a "carrier oil." Who knew? As a child, my summer vacations were spent on my grandfather's coconut plantation. Since those summers invoked many happy memories, I added fractionated coconut oil to my shopping list to be used as my "carrier oil." "Carrier what," you say? 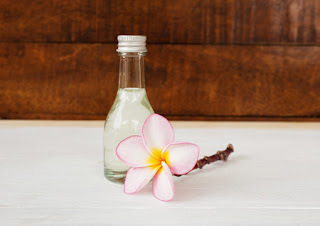 Fractionated coconut oil is light, easily absorbed, and won't clog pores. Care to learn more? Me too! Join my quest for the boundless healthful effects of therapeutic grade essential oils. Click on the "contact me" gadget on the top right if this page. We can schedule a chat via Skype, Google hangouts, or send you more information over email. I won't share your email address with anyone (I promise)! For a limited time (she's a busy mom), my newly-found essential oils guru will send you a therapeutic grade essential oil sample via snail mail. Wanna know which essential oil sample the guru will send? Contact me using the form on the top right of this page.